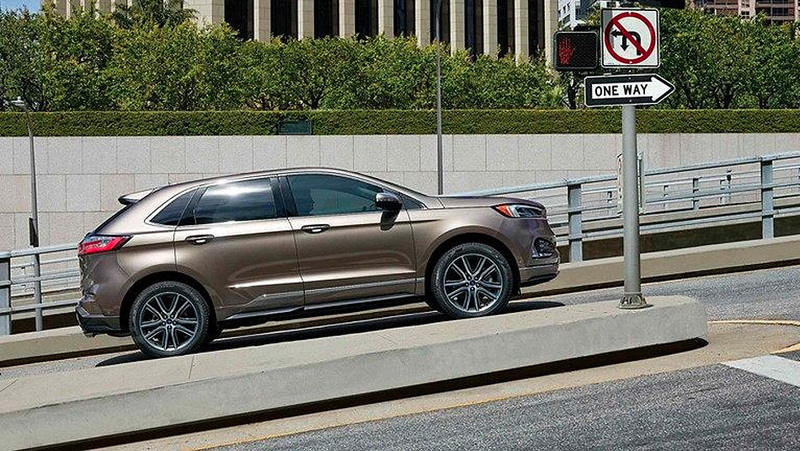 This year, Ford revamped its performance-based Edge model with the all-new Edge ST. How much has it changed from last year’s Edge Sport? For one thing, this is the first Ford SUV manufactured as part of the Ford Performance Lineup and it comes packed with tons of new features and changes, including everything that comes standard with the 2019 Edgel. Take a look at how the two Ford Edge models compare to one another, here at your north Edmonton Ford dealer! The Ford Edge ST’s performance specs have been the talk of the town since its announcement. For 2019, the Edge ST upgrades last year’s 2.7L Ecoboost® V6 Engine with a turbocharged version that produces 20 more horsepower and 30 lb-ft. more torque than before. Despite its higher performance, the Edge ST also manages to have higher fuel efficiency rating across the board, compared to Edge Sport. While the 2019 Edge already comes with a redesigned grille, the Edge ST sports a completely unique grille with gloss black-painted mesh and the ST logo attached for a more performance-based look. Meanwhile, the Edge Sport has last year’s Piano Black grille with chrome bars. The Edge ST also incorporates new design elements from the 2019 refresh, including standard bi-LED headlamps, a wider hood, and restyled wheels. When you step inside the Edge ST, you’ll also notice the brand new ST logo and branding across the vehicle’s interior, especially its leather-trimmed sport seats with Miko suede/cloth inserts and leather steering wheel. Last year’s Edge Sport has similar styling, but used suede inserts instead for its leather seats. 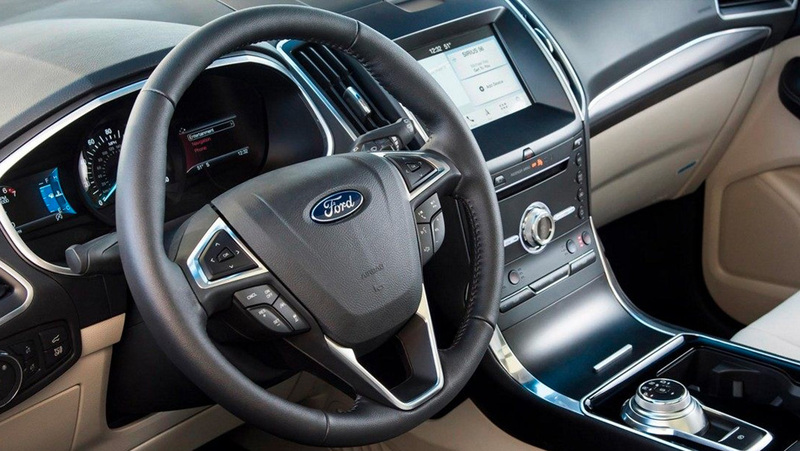 On the technological side, the Edge Sport came equipped with SYNC® 3, whereas the Edge ST comes fully-equipped with FordPass™ Connect Wi-Fi hotspot standard and allows you to add a wireless charging pad inside the front console. Want to learn more? Contact us at Kentwood Ford, today!